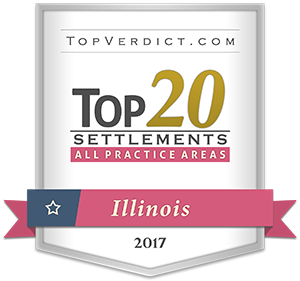 Tax Fraud Attorneys -- Chicago & DuPage County, IL. Tax fraud and tax schemes are high priority cases for the Criminal Investigation (CI) division of the IRS. The IRS criminal and civil enforcement and the Department of Justice (DOJ), have a partnership to protect the citizens of the U.S. against abusive tax schemes and tax fraud. Corporations and businesses engaged in enterprises that the IRS or the DOJ monitor for criminal activities may be scrutinized for compliance violations, tax schemes, bankruptcy fraud, excise tax fraud, employment tax fraud & general tax fraud. If the IRS contacts you, this is an indication that they are conducting a criminal investigation. You will be advised that you are not required to speak with their agents and that you may have an attorney present. Take his advice and do not talk or give any information to any agent. Tell the IRS that you wish to consult an attorney and he should leave. If you are currently under criminal investigation and have been cooperating and talking with the IRS, you should stop cooperating immediately and consult with the Dvorak Law Offices LLC. If your bank notifies you that the Criminal Investigation Division of the IRS or the U.S Attorney’s Office is requesting copies of your bank records, there is a high likelihood that you and/or your company are under criminal investigation. If you receive a notice from the IRS that one or more of your previous tax years are being audited & you know that the returns filed contain either understatements of income or overstatements of deductions, or both, you should not have any further discussions with your accountant regarding the returns until you have engaged legal counsel. Although this is initially only a civil audit, the IRS is trained to be on the lookout for fraud red flags and to refer potential fraud to the criminal investigation team. If any of these events happen to you, you should contact Dvorak Law Offices LLC. We have the resources and capabilities to aggressively represent clients against allegations of criminal activity. The preparation & experience to fight the IRS is essential to combat the serious consequences of a guilty conviction.